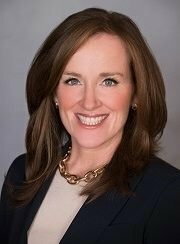 Washington, DC - June 15, 2015 - U.S. Representative Kathleen Rice announced today that the Department of Veterans Affairs (VA) Office of Inspector General has agreed to investigate allegations of abuse of purchase cards at a VA health care facility in the Bronx. Rice, a member of the House Veterans’ Affairs Subcommittee on Oversight and Investigations, called for the investigation during a May subcommittee hearing on allegations of waste, fraud and abuse in VA’s Purchase Card Program, which allows certain VA employees to make minor purchases of less than $3,000 for medical care and supplies without competitive bidding processes and written contracts. Citing a VA official’s memo to VA Secretary Robert McDonald about problems with the Purchase Card Program, Rice highlighted a case at the James J. Peters Medical Center in the Bronx, where a supervisor recorded more than $50 million in prosthetics purchases in increments of $24,999 – just one dollar below the purchase card’s $25,000 charge limit, which VA’s Assistant Inspector General for Audits and Evaluations agreed was a “red flag” that warrants further investigation. VA has claimed that all files related to these procurement actions had been housed in the Veterans Integrated Service Network 3 (VISN 3) facility in Manhattan, and were destroyed during Superstorm Sandy. The letter from VA’s Deputy Inspector General announcing the investigation is available here. Video of the subcommittee hearing is available here. Between approximately 1:21:00 and 1:25:00 in the video file, Rice requests the investigation and raises questions about VA’s claim that all relevant documentation was destroyed during Superstorm Sandy. Subject: LongIsland.com - Your Name sent you Article details of "VA Agrees to Investigate Bronx VA Facility After Rep. Rice Calls $50M in Purchases a “Red Flag”"